We encourage links between websites offering lodging, other attractions, restaurants, and others who appeal to the same market as ours. Nantahala River Whitewater Rafting - Family whitewater rafting adventures on the Nantahala River in the Great Smoky Mountains of western North Carolina. Certified guides in modern self-bailing rafts. www.nantahalarafts.com. 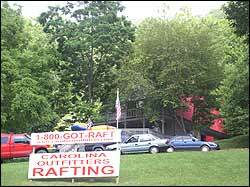 <A HREF="http://www.nantahalarafts.com">Nantahala River Whitewater Rafting</A> - Family whitewater rafting adventures on the Nantahala River in the Great Smoky Mountains of western North Carolina. 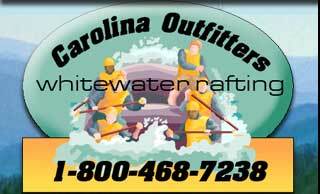 Certified guides in modern self-bailing rafts.